WE HAVE A WINNER!!!! We chose Rachel Hunter’s “Kid’s Dream Closet”! Rachel put a lot of effort into this project. She even included pins that were entire outfits that she created! 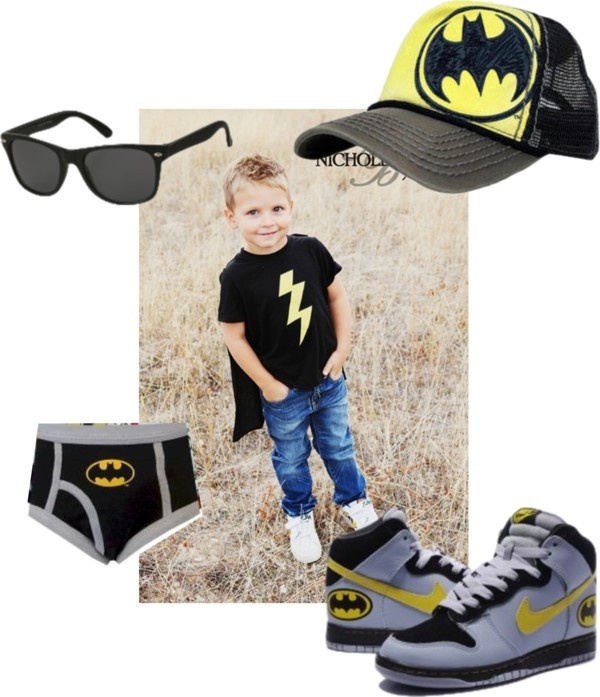 She put together “dream outfits” for each of her kids and made them into collages. We really liked that extra touch. We also really love Rachel’s style. Great job Rachel! I emailed you with instructions on how to claim your prize. Thank you to everyone who entered. We really enjoyed looking through all of your boards. It was really great to get a sense of your taste and fashion sense. We appreciate all of the time and effort that all of you put into this. There were some really great entries. It was a tough choice. Here is the link to Rachel’s winning “Kid’s Dream Closet”. Pinterest is such a great way to find and keep track of DIY project ideas, party planning tips, recipes, & fashion trends that you love. This contest will challenge you to imagine what your kid’s dream closet would be! We want to get to know you and your kids, your style, your fashion sense, and taste so that we can create our future collections with your family in mind. Your Pinterest board will give us a taste of your style! 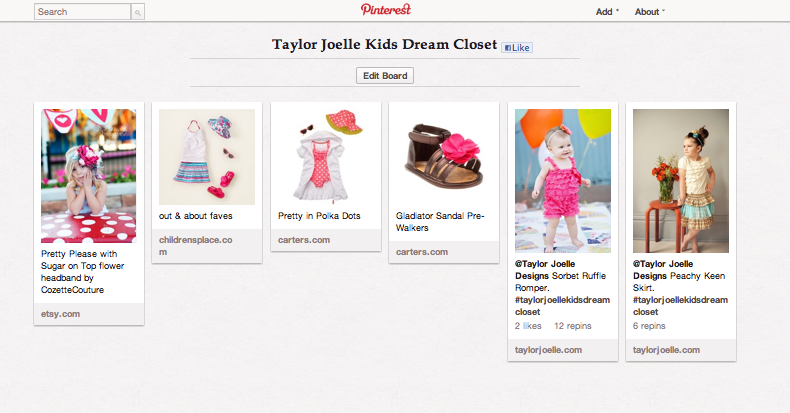 We want you to create a Pinterest board titled “Taylor Joelle Kid’s Dream Closet”. Include pins with items that you dream of being in your child’s closet, include clothes, hats, shoes, accessories – anything that fits the style of your child! Use your creativity and eye for fashion and have fun! The winner of this contest will receive a FREE item of their choice from taylorjoelle.com. They will also receive FREE SHIPPING for 6 months on all orders from taylorjoelle.com, including Hot Buy orders! Create a board titled: Taylor Joelle Kid’s Dream Closet. Please include at least one item from taylorjoelle.com as one of the pins on the board. 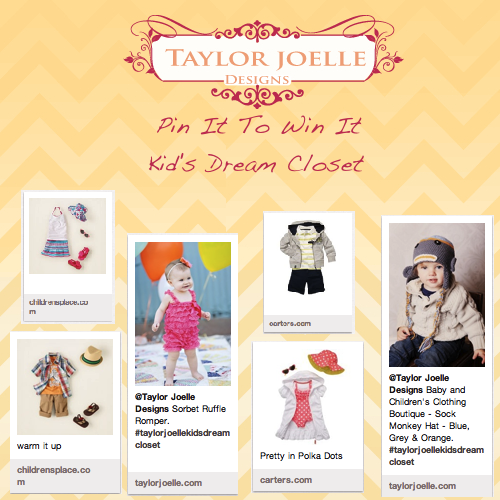 In the text of the pin, you must tag @Taylor Joelle Designs and include the hash tag #taylorjoellekidsdreamcloset. When your board is complete, email brooke@taylorjoelleblog.com (or send us a message on facebook) with a link to your board. All entries must be submitted by Wednesday, May 30th at 11:59pm MST. The boards will be graded on their style and creativity. The winner will be announced at the top of this blog post on the morning of Thursday, May 31st (a link will also be posted on facebook, twitter, and google+). The winner will also be notified via email. Good luck and have fun dreaming up your kid’s closet! Hi Lisa! 🙂 I found a link on Pinterest that gives a 101 on how to use the site. I hope that it is helpful. After looking through that and getting familiar with the site, just follow the steps listed in the blog to create and submit the pinboard. We are looking forward to seeing your submission! Please let me know if you have any more questions.